There’s a certain art to crafting a great away shirt. The best ones are not simply a colour change of the home shirt, but rather a fresh perspective that marries perfectly with the home whilst still maintaining its own identity. The new Argentina away shirt is a superb example of this approach. Bar a couple of white shirts over the years, The Albiceleste have traditionally worn dark shades of blue for their away shirt. Think their kit from the 2014 final, or the iconic 1994 away made famous by a screaming Maradona heading towards that camera. This year’s shirt takes things even darker, going black in a look which is arguably the best away shirt since Maradona’s aforementioned outpouring of emotion. There aren’t many black shirts on the international scene today, but this one stands proud. Like the home shirt, adidas have looked to 1993 for design inspiration. 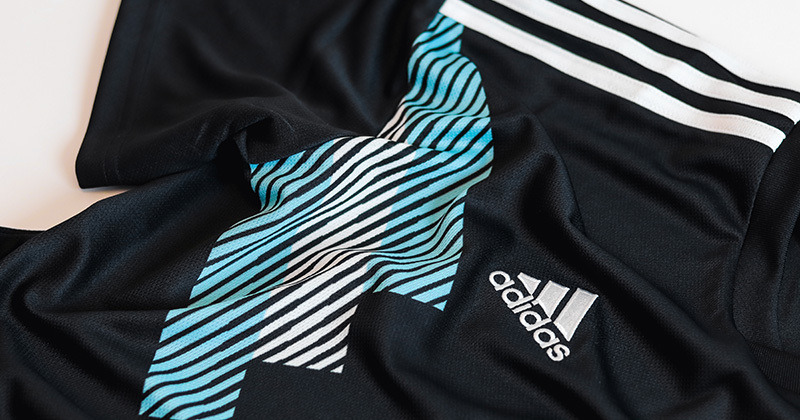 Argentina’s away shirt that year featured three thick stripes in alternating light blue and white, covering the top and front of the shoulders and finishing above the federation crest. The three stripes are coming back in a big way this year. Jump forward to 2018 and this design idea has been reinterpreted, with the pattern sliding down the shirt to now start from underneath the shoulder. The stripes themselves are also broken up with black lines in what has become a feature of recent adidas releases. One of my favourites things this year has been the approach adidas have taken with their callbacks to 90s designs. Rather than simply remaking popular designs, they’ve borrowed elements of previous shirts whilst injecting fresh ideas. No one does it better. 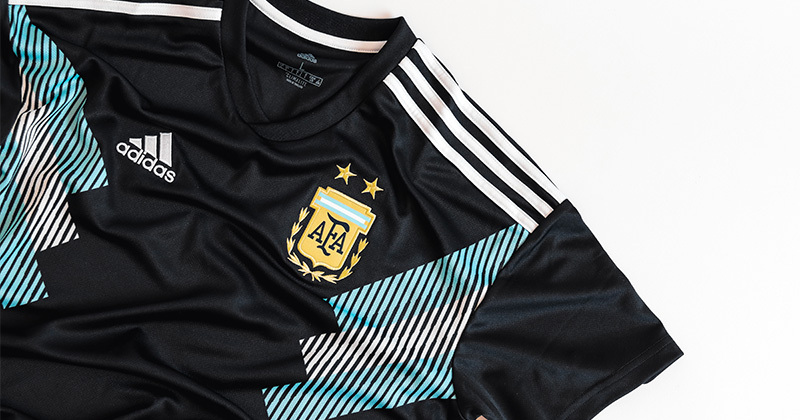 At first glance this shirt uses the same template as Colombia’s new home shirt, but things are subtly different with the stripes coming in at a different angle, and the variety in the thickness of the black stripes that break up the pattern. It’s also worth noting that there is a surprising lack of additional detailing, though this maybe says a lot about adidas’ confidence in the design rather than introducing a series of distractions. It's maybe a bit greedy, but how nice would this be in black? One change I would’ve liked to have seen is a monochrome crest, perhaps even in black, to really push the look further. This would borrow ideas from the one-off, one colour Parley shirts created for Real Madrid and Bayern Munich in the 2016/17 season. All things considered, this is a strong shirt which showcases the great work adidas are doing this year. It’s hard to get a black shirt wrong, but credit should be given for creating a shirt which actually improves upon a retro design rather than simply bringing it back. 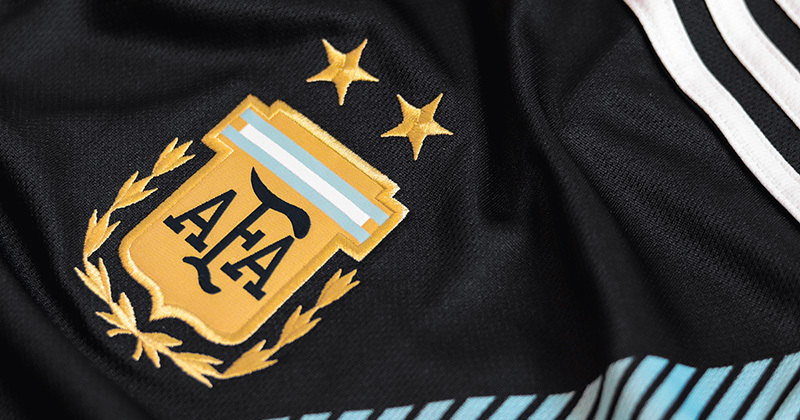 With something a little more daring, we could have had a shirt for the ages, but this will still go down as one of the best away shirt Argentina have ever had.